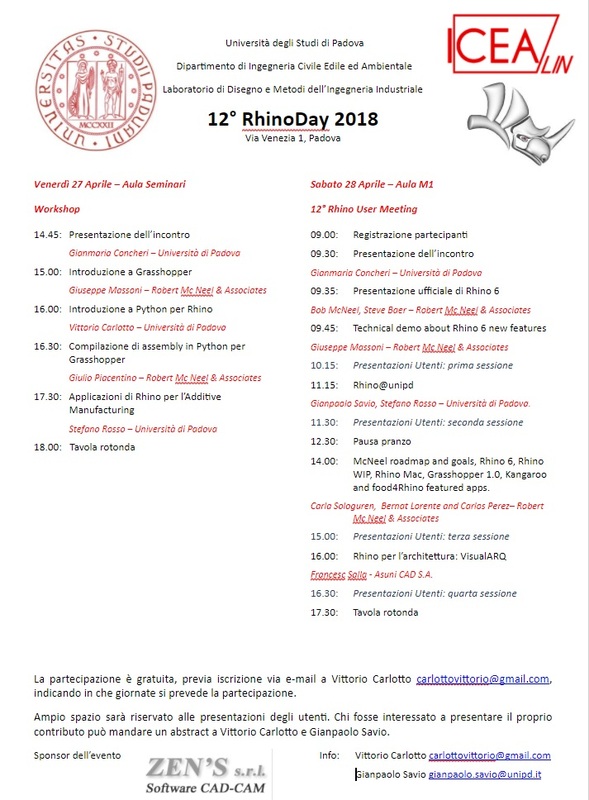 The 12th Italian User Meeting, organized by Università degli Studi di Padova - Dipartimento di Ingegneria Civile, Edile e Ambientale and sponsored by ZEN's srl, has been announced. Apart from the users' live presentations, McNeel staff will show the latest news on Rhino 6, Grasshopper 1.0, Kangaroo and food4Rhino. Just contact carlottovittorio@gmail.com to book your seat and/or present your work.